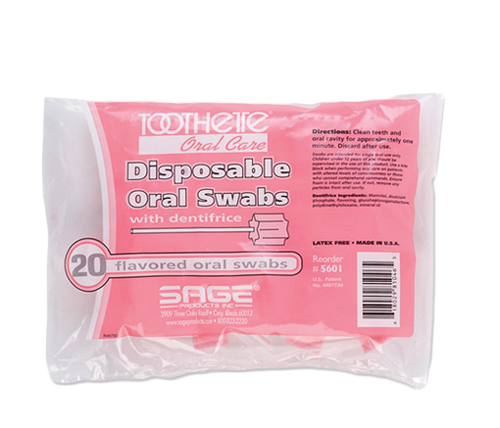 Toothette Disposable Oral Swabs by Sage is a ready-to-use Birchwood oral swab. It is designed for patients who can perform all or most of their oral care but who may also require some nursing assistance. The disposable brush allows you to gently clean your mouth and teeth and refresh your breath. It also provides oral hygiene for patients who may also suffer from mild oral dysfunction. 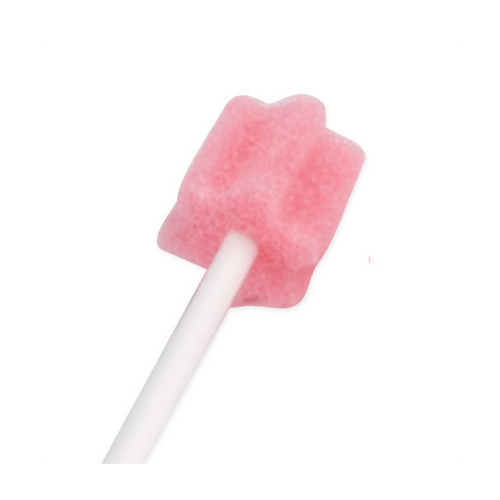 The swab is made of soft and secure foam heads with distinct ridges. This feature allows you to gently lift and remove debris and mucus from the oral cavity. 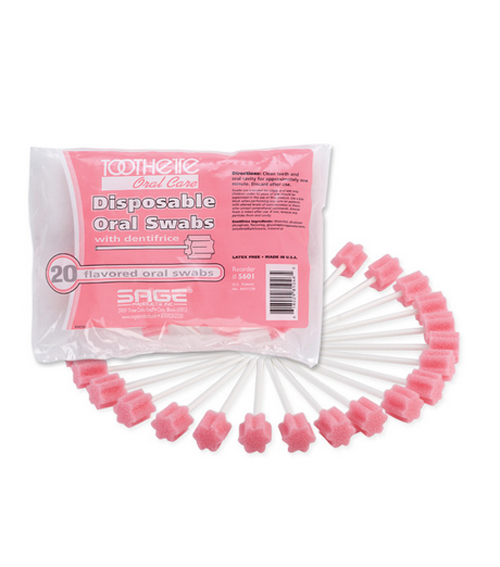 Toothette Disposable Brush by Sage requires no water or dentifrice. It comes in mint and untreated and each swab is individually wrapped. It is packaged for convenience in boxes and cases. This product is for patients who can perform their own oral care but may require some nursing assistance. I ordered my infant son, which has a rare muscle disorder, and requires a ventilator a box of Toothette brushes made by Sage and I am more than pleased. The shipment arrived almost immediately. It appears that the ordered amount is accounted for and every toothette is individually wrapped. I will definitely make future purchases. This product is great for doing my daughter's oral care. Good product and great service! My aunt has dementia and can't rinse mouth. This product helps me get all the food and dental paste out of her mouth after I remove dentures. wonderful product for mouth hygiene for someone not capable of brushing their teeth! My family member swallows mouthwash because of dementia and with the toothette I am able to dip the toothettes in mouthwash and thoroughly clean their mouth.Glad I found this product! I like these a lot. They do a good job if you move slowly over each tooth and wet them a little bit first. It is not the same as actual brushing, but as close as you can get. Great,! Great!, Keep up the good work. We use these for our pet grooming business. They work great for brushing the dogs' teeth, and the dogs like the feel of them better than regular toothbrushes. They are especially good for dogs with tender gums. Great fast product! (with free shipping!) Wife ordered a product a few days prior to this one, paid almost 50.00 and got her shipment 2 days after this one. 2 day express shipping does not do well if you want or need it fast! I really hope my wife gets a refund for her shipment. Outside that, great service and value!